Illuminum London is proud to announce a new limited edition fragrance collection, 95 Percent. With this collection we are taking our passion for perfume into exciting new areas of shared experience. Composed in partnership with three innovative London-based chefs, the three new fragrances explore complex relationship between scent and taste. In curating 95 Percent collection, we explored the idea that scent accounts for 95 per cent of what we taste. Illuminum London partnered with three London-based chefs to collaborate with expert perfumers on three distinctive fragrances by ‘pushing the boundaries of the possible’ at the interface between taste and scent. Fluid, transcendent, playful and inspirational, the new collection represents the brand’s deep reverence for scent into fulfilling realms of shared experience, including the worlds of art and culture. Illuminum London opens a door on a new horizon of human possibility at the point where scent interacts with creativity. It’s a journey without limitation. Our customers make it what it is. In addition to the 95 Percent collaboration Illuminum London undertakes a repositioning – a visual and cultural upgrade. To celebrate, a new fragrance ‘White on White’ joined the 95 Percent range at the launch. 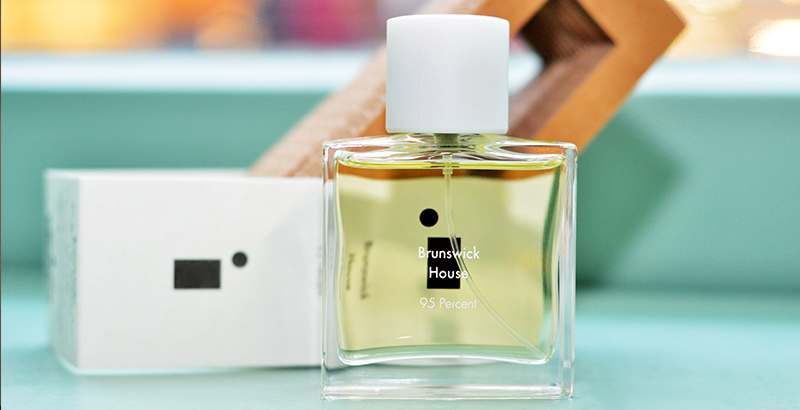 This novel scent has been composed in such a way as to be reminiscent of the artists studio taking inspiration from philosophies of Kazimir Malevich.